Growth can be uncomfortable. Change can be intimidating. Differences can become roadblocks. No matter what the focus of your organization, these critical issues will crop up, and you and your employees need the tools not only to cope—but to overcome and move forward together. Shannon McKain’s presentation sensitively brings to the surface the complex issues standing between employees and success; then lays the groundwork for long-term positive change, shored up by concrete, measurable retention models rather than Band-Aid solutions. McKain helps break down barriers in order to show your workforce how to open their minds, support change and embrace the benefits and satisfaction of evolving together as a company. 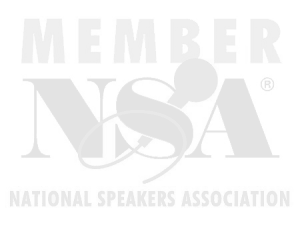 Looking for a speaker at your next event? 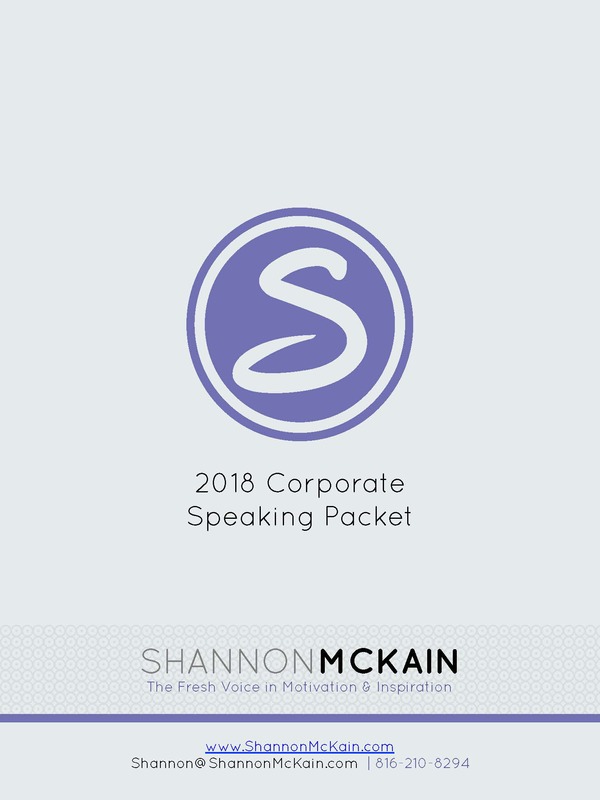 Download Shannon McKain’s Corporate Speaking packet and discover why Shannon would be the perfect fit. Emotional Intelligence in the Workplace: What’s Your EIQ? Spend an afternoon with an expert in the field of Emotional Intelligence — Shannon McKain. She’ll give your employees the tools to identify, assess and control their own personality and to work with the variety of personalities they encounter in the workplace. Her Four Square approach will help everyone increase his or her social and emotional I.Q. With up to five generations working side-by-side in many workplaces, it’s imperative for employees and management to understand how different generations think and act on the job, and on the client side. In this program, Shannon McKain explores how to build bridges rather than barriers between generations when it comes to interoffice communication, client prospecting and marketing to existing and new clients. How positive is the first impression you make? Whether you’re meeting a new friend or a potential new boss, be sure you’re sending the best message possible about yourself to others—your success depends on it! 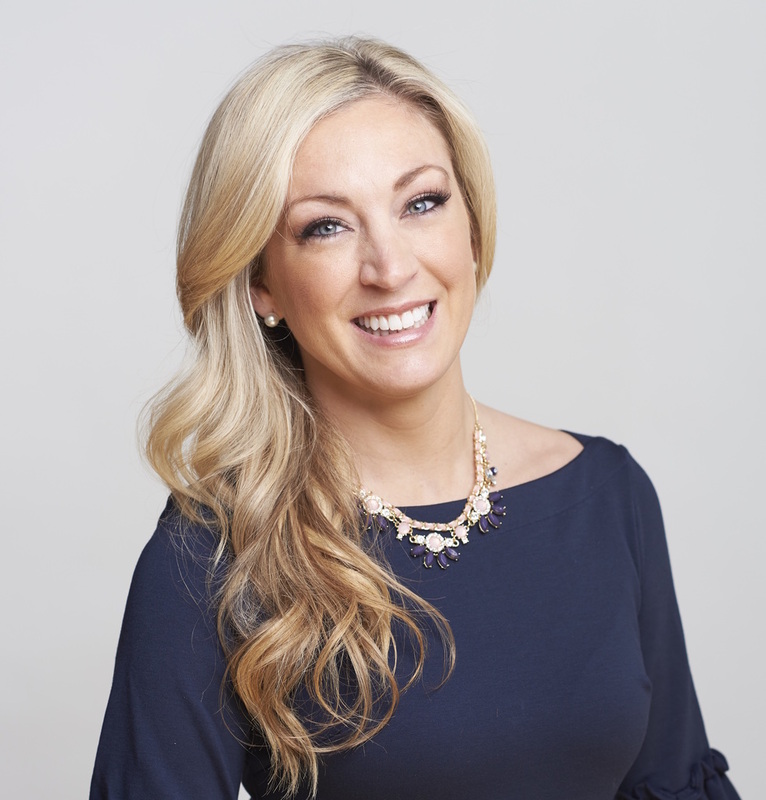 In this program, Shannon McKain helps entrepreneurs and employees explore how to optimize their “personal brand” to achieve success in every aspect of business and life. Leadership Building Blocks – What Kind of Leader Are You? Sharing both her successes and failures including living on a canoe for two weeks (studying Situational Leadership), Shannon McKain integrates how Four Pillars of Leadership can make or break any organization. Using interactive and fun communication exercises, this millennial knows how to successfully facilitate an effective Leadership Academy for your group! Are millennials at a disadvantage because technology has been a part of their lives from the very beginning? If so, how do we shift away from “connecting” through likes, emoticons and friend counts? How do we develop skills that are more emotionally fulfilling? Looking for Young Adult Programs? Where would you like Shannon McKain's Corporate Speaking Packet delivered?